Here is the RDCO News Release Westshore Water Interruption regarding the shut off of water to homes Monday, November 6th from approximately 8:00 am until 4:00 pm, water service will be shut off to all customers above the Mountain Reservoir on the Westshore Water System. The Regional District of Central Okanagan advises some customers of the Westshore Estates Water System will be without water early next week. 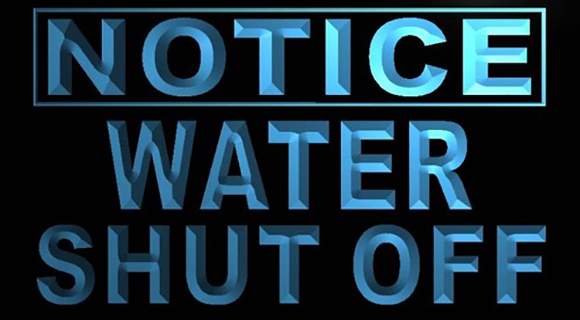 On Monday, November 6th from approximately 8:00 am until 4:00 pm, water service will be shut off to all customers above the Mountain Reservoir. This is work is necessary as crews connect the newly constructed Upper Mountain reservoir to the water system. In advance of the outage, customers may wish to stock additional water for drinking and other household needs. Crews will work as quickly as possible to complete the connection and get water flowing again. o Once the water runs clear, it is safe to drink and to use hot water. No other Westshore water customers will be affected by this work. For information visit the Regional District website water system webpage (regionaldistrict.com/water) or contact RDCO Environmental Services at engineer@cord.bc.ca or 250-469-6241. To subscribe online for Regional District water quality advisories or alerts by email visit regionaldistrict.com/water.